With 300 tons of municipal sludge per day and 1.500 tons of kitchen waste per day, it will be the biggest organic waste co-digest project in the world. The project consists of four thermophilic digest tanks where each tank has a volume of 13.000 m3. 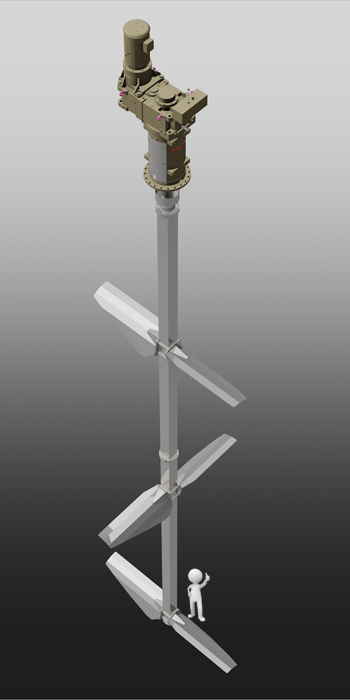 Four agitators with shaft lengths of 18.500 mm and motors with effect of 45 kW are going to be delivered from Stamo. The project is planned to be up and running in June 2019.